Small but mighty! 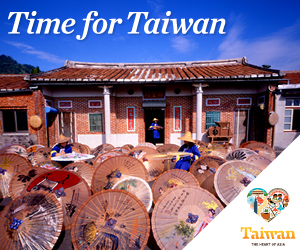 Taiwan is one of Asia’s most delightful yet overlooked destinations—chock-full of ancient Chinese history and culture, incredibly hospitable people, and a track record of safety and security, all this makes it a superb place to explore. This quick tour of the country’s east coast is ideal as a stopover during a longer trip, or to be combined with a beach or city stay. You begin in the modern and buzzing capital of Taipei, where you can explore Chinese history at the National Palace Museum (with more than 670,000 artifacts). Then venture south to Hiaosi, which is famed for its hot springs, to spectacular Taroko National Park and Chihshang, where you can bike through the East Rift Valley and enjoy local cuisine. All with a skilled professional guide. Day 2: Arrive in Taoyuan International Airport or Taipei Songshan Airport, Taipei. When you arrive, you may drop off your luggage at the hotel and explore the city independently. The Taiwan night markets are a great choice. Day 3: Visit the National Palace Museum. See the world’s largest collection of Chinese artifacts. Known for its delicious foods and drinks, Yongkang Street is one of the most famous streets in Taipei. Feast on unforgettable dim sum at the original Din Tai Fung restaurant, then take a step back in time and visit Jiufen, a historic mining town. Explore the old streets to find delicious snacks such as sweet taro soup, Hakka dumplings, and a marinated assortment of lu wei. Soak in the rejuvenating waters of Jiaosi Hot Springs, a natural hot spring, which is a truly relaxing and rustic experience. Day 4: Avoid traffic and take a wonderful journey by train along the Pacific Ocean to Hualien, a natural conservatory at the edge of Taroko National Park. Literally meaning “magnificent and beautiful” in the Truku aboriginal language, Taroko Gorge is a natural wonder and a landmark of Taiwan. Then hike along Swallow Grotto Trail, the most beautiful section of the Taroko Gorge, to see magnificent canyons, soaring marble formations and subtropical springs. Day 5: Travel to Tiansiang. Enjoy the nearby site Zhihhui Bridge, PuduBridge and Xiangde Temple. Learn about the rich heritage of Taiwan’s aborgines. Enjoy an “Ani-style” lunch in a private home. Day 6: Bike or stroll through the lush green rice fields of Chihshang. Learn to make rice pasta by hand, a fun local pastime. Sit back,relax and enjoy the rustic scenery back to Taipei. Book your flight after 9:00 pm to fly back.